It was a tough battle. The enemy was big…a lot bigger than me! He had powers greater than mine. But, I had trained hard. I was ready. I was a Jedi and I believed! Actually, I was a little kid standing in my friends’ backyard “playing” Star Wars. He was Darth Vader and I was Luke Skywalker. We were locked in an epic lightsaber after school battle between good and evil just before dinner was ready. It was real to us but make-believe to the rest of the world. Sometimes I miss the days of make-believe! This month we take a look at Step 2 of Alcoholics Anonymous which reads, “We came to believe in a power greater than ourselves could restore us to sanity.” I want to focus on the world ‘believe’. It is a powerful word. By belief, children look forward to December 25th every year hoping for the latest toy from their good friend Santa Claus. By belief, top athletes will push themselves to accomplish physical tasks mere mortals only dream of achieving. Throughout history, countries have been created and destroyed by beliefs. 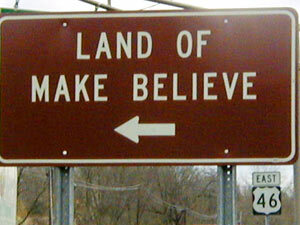 Like it or not, belief or the act of believing is a major factor in the human race. This is true not only on a global scale but on an individual one as well. Recovery is the perfect example of this truth. Most alcoholics/addicts became addicted because they believed the wrong things about themselves and/or others. Things such as” ‘Only cool people use drugs”, “I have to fit in so I will drink”, “I’m not worth anything to anyone”, “I can handle it. I won’t get addicted.” Unfortunately, most never took the time to ‘argue’ with those beliefs to see if they were actually true or false. Blind belief comes with terrible consequences! As people enter into recovery, they embrace Step 1, namely, that their lives have gotten out of control due to their addictive behavior and that they are unable to solve the problem using their own power. After they come to believe the truth of their own powerlessness, they are ready to embrace a new belief about their future: the need for help from a higher power. This is usually shocking and uncomfortable for most addicts, to say the least. 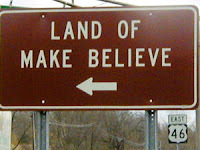 However, if an addict is serious about changing his/her behavior, they must be realistic about where they were living before they got into recovery: the Land of Make Believe! This is a place that destroys lives. It takes away freedom, fiscal prosperity, relationships, jobs, and even someone’s very life. But at one point, the active addict believed that everything in the Land of Make Believe had to offer was true and worth the cost. Nothing could be further from the truth! This is where changing beliefs can change your life. When the addict chooses to embrace belief in a higher power, there is a pivotal change in their recovery. They realize they don’t have to do it all alone. They realize that something/someone who is more powerful and more intelligent will guide them, help them, and empower them to stay sober and recover from this awful disease. Ask yourself these questions: What do I believe about recovery? What do I believe about the prospect of having a higher power’s help to stay clean and sober? Why would I entertain such an idea if I can’t stay sober by my own strength? The choice is yours. Each day you can believe that, “a power greater than yourself will restore you to sanity” as AA /NA teaches. You can step out into a beautiful new landscape full of new hopes and dreams that are waiting to be fulfilled. The other alternative is to go back to the Land of Make Believe where everything seems wonderful but is rotten to the core. The choice is yours…what do you believe?